This heart-centered yogi performs an evening of soulful mantra rock to get the body moving and spirits soaring. 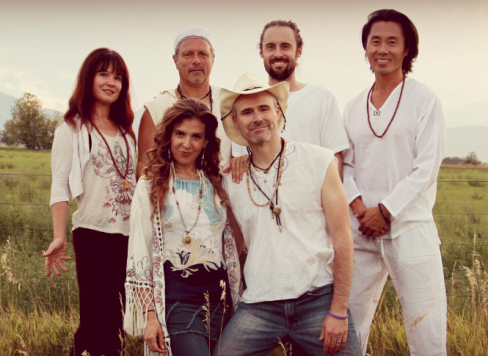 Katie Wise and The Bhakti Explosion “Love Heals All Wounds” Tour will perform Wednesday, March 27 at 7:00 pm at Unity Spiritual Center of Albuquerque, 9800 Candelaria NE. A heart-centered yogi who loves to rock n' roll, Katie has performed at some of the biggest sacred music and arts festivals in the US and internationally. Fueled by warm, east-meets-west grooves, this evening of soulful mantra rock will get your body moving and your spirits soaring. Advance general admission tickets are $18.00 at lovehealsallwoundsalbuquerque.eventbrite.com. (A limited number of tickets are available for $5.00 discount with Promo Code UNITY2019.) Tickets will be $28 at the door.